Approximately 10 years after the Electribe MX first went on sale in 2003, Korg introduces a long-awaited update that's designed to be simple and easy for the beginner to understand, and even more enjoyable than ever for existing users. 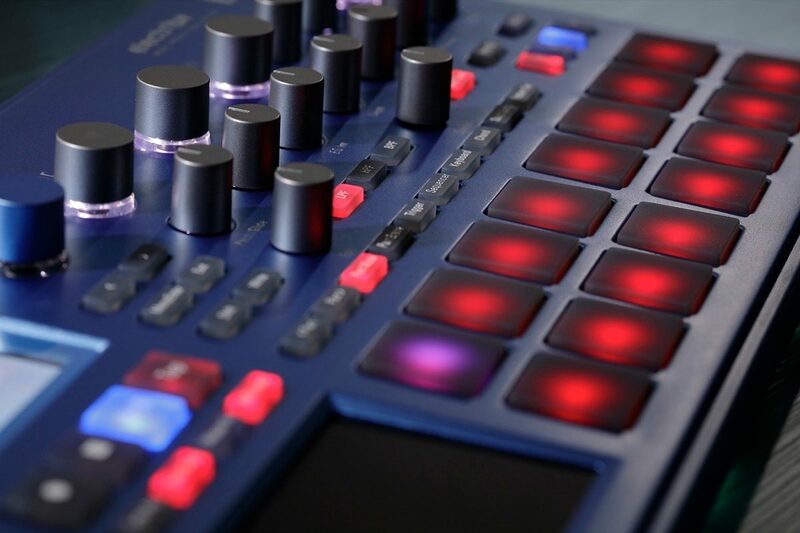 The Korg electribe perfectly fulfills two tasks that both demand speed: live performance and music production. 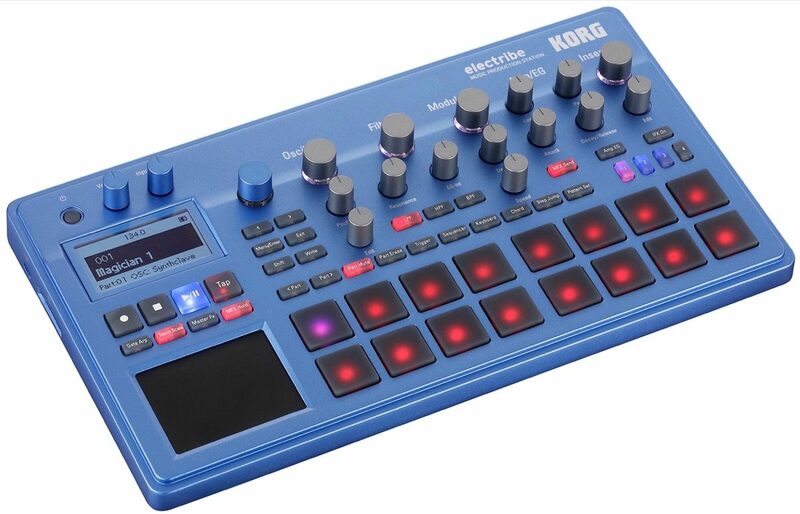 The electribe has been reborn including KORG technology distilled from popular products such as the KingKORG, kaossilator, kaoss pad, and taktile. The 200 preset patterns cover House and Techno as well as cutting-edge dance music genres such as Trap and EDM. Another major evolution of the electribe is support for polyphonic playback, which is indispensable for musical styles that involve complex chord progressions such as House music. Familiar from the kaossilator is the "touch scale" function that lets anyone perform without wrong notes, just by moving a finger across the touch pad. The trigger pads popular on the taktile are also provided, making it easy for anyone to create phrases intuitively. The trigger pads can also be used for drum input. Settings allow you to switch velocity on or off. For the electribe, KORG designed a synth engine that gives you the maximum sound-creating freedom and the fastest sound production. The 409 oscillator waveforms include analog modeling and PCM. The analog modeling synth engine provides a broad variety ranging from simple basic waveforms to complex combinations such as dual, unison, sync, ring modulation, and cross modulation. The PCM sound engine provides mainly rhythm sounds, but also covers multisamples for keyboard. (Collaborations with Sample Magic, Loopmasters, Prime Loops are included). You can also apply filters to drums to create rhythm tracks that are rich in tonal variation. Modulation can make sound-creation more complicated, but Korg made it easy by condensing it down to three parameters: simply select a template that specifies an effect and its target, and then adjust the speed and depth of the effect to suit your taste. The electribe provides effects such as compression and overdrive for each part, giving you uncompromising control over the nuances of individual sounds that differ subtly between genres. The groove function can be specified for each part, letting you apply a groove to your phrase simply by selecting a template. The master effects can be controlled from the touch pad just like on the kaoss pad, and they include not only spatial-type effects that shape the overall acoustics, but they also include effects that apply aggressively musical transformations such as the "Vinyl Break" effect inherited from the Kaoss pad series, and the "Seq Reverse" and "Odd Stepper" that change the playback order of the sequencer. These are also extremely effective for live performance. Insert effects can be assigned for individual parts, opening up even more complex sound-design possibilities. There's also a "pattern set" function which lets you switch patterns by pressing trigger pads, and an "event recording" function to record that performance. In addition to MIDI IN/OUT, "Sync IN/OUT" is also provided, allowing synchronized performances with the volca series, monotribe, or MS-20 mini. The unit can run on six AA batteries, so you can easily take it along with you and perform anywhere, providing on-the-go inspiration your musical ideas. Transform inspiration into a creative production. 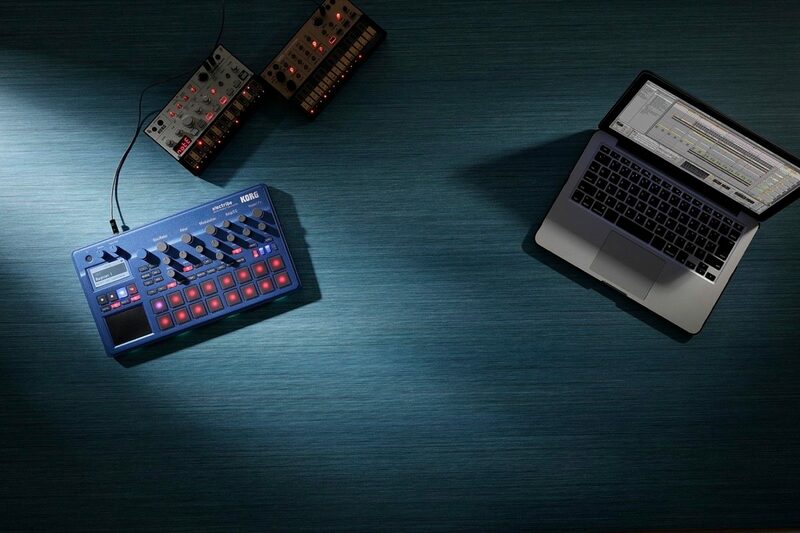 KORG has collaborated with Ableton to offer a music production workflow that combines the best of hardware and software. 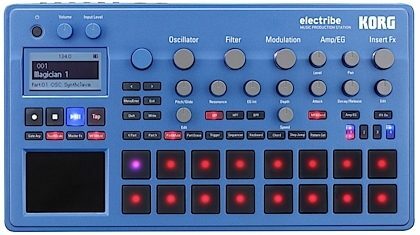 The electribe can internally save and export patterns in Ableton Live format. Individual patterns and parts are saved as scenes and clips in an Ableton Live Set. Use Live's powerful Session and Arrangement workflows to edit and refine your ideas, perform or record new parts, arrange your ideas, and mix your song. 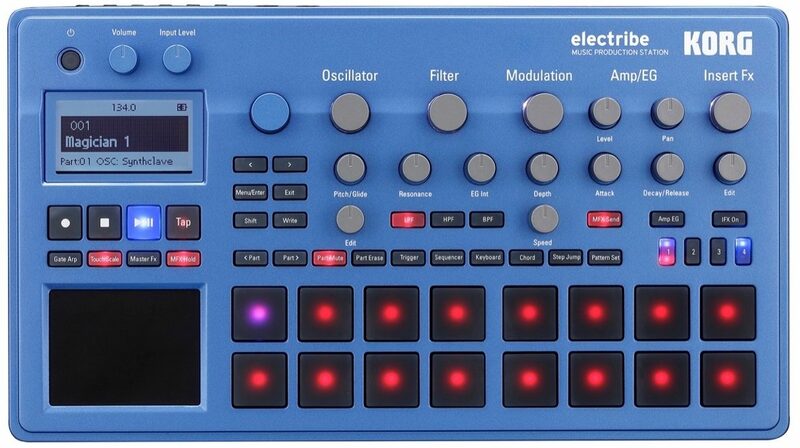 The Korg electribe includes Live Lite. Overall: This machine sounds incredible.....I do wish it had greater ability to make full songs without having to combine multiple patterns, but integrating this with ableton live pretty much solves the issue if you do not mind using the computer as well. I picked up an apc mini that I will use to launch the exported clips and make my songs that way....only $59 bucks. I also wish I had gotten the sampler version..so I picked up the volca sample for 118. All my problems solved just a bit more expensive. With these tools though you could make any song you could imagine. 11 of 16 people (68.75%) found this review helpful. Did you?